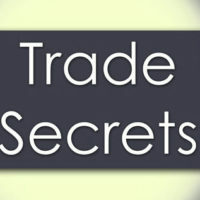 Under Florida law (Chapter 688), trade secrets are entitled to certain legal protections. As a business owner or operator, you need to be able to protect your company’s valuable trade secrets against any type of unlawful use. If you have been a victim of trade secret misappropriation, it is imperative that you speak to an experienced Miami business litigation attorney as soon as possible. Your attorney will be able to review your claim, and help you assess your remedies. One valuable remedy that might be available you involves filing for an injunction. In the vast majority of cases, injunctions are sought to force a defendant to stop doing something. Of course, in a trade secret misappropriation claim, a business would seek an injunction get the other party to stop misusing their protected trade secret. This is an extremely valuable legal tool, as it can be used to put an immediate stop to any damage being caused by the unlawful actions of the defendant. In trade secret misappropriation cases, injunctions are mostly issued on a temporary basis. Indeed, typically injunctions are sought on a preliminary basis. This is because trade secret litigation, as with many other types of business litigation, can take quite a long time to reach a conclusion. An injunction can be sought to prevent any further trade secret misuse, while the case is making its way through the legal process. What Do You Need to Prove to Get a Trade Secret Injunction? The best interests of the public cannot be harmed by the ruling. If all of the elements can be established, then you have the right to obtain a preliminary injunction to stop trade secret misappropriation. At Pike & Lustig, LLP, our top-rated business law attorneys have deep experience handling all aspects of trade secret misappropriation claims. To learn more about what our law firm can do for you, please contact us today to set up your free consultation. From our primary office in West Palm Beach, and our secondary office in Miami, we represent businesses all around South Florida.